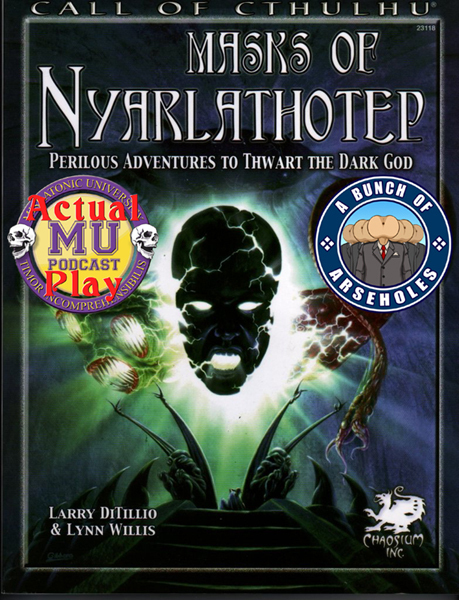 The classic Call of Cthulhu campaign is being played by a group assembled by Keeper Murph. Who will survive this notoriously deadly campaign? Will they defeat the machinations of the Crawling Chaos? Will they make it through the locked door? Tune in and find out! Be aware that the notes are for the use of the play group, and they are further along in the campaign than these releases. Thus, there are spoilers for the future of this campaign. Discuss on the Campus Forum. For a ghoul is a ghoul, and at best an unpleasant companion for man.